Our authoritative contributors make the RTI Blog a reliable source of information on the theories, planning, implementation, and progress monitoring of RTI solutions. Lauren Campsen is the Principal of Ocean View Elementary School, Norfolk Public Schools, in Norfolk, Virginia. Deborah Carter, Ph.D., is an assistant professor in Special Education and Early Childhood Studies at Boise State University. Dr. Ann Casey previously served as the Director of the Minnesota Response to Intervention Center, providing professional development and coaching support for implementation of RTI to school personnel across the state. Dr. Judy Elliott is the Chief Academic Officer for the Los Angeles Unified School District. Chuck Grable serves as the Assistant Superintendent for Instruction for the Huntington County Community School Corporation (HCCSC) in Huntington, Indiana. Bob Heimbaugh has been an educator in Wyoming since 1988. Since 1994, he has been a K-12 principal, a high school principal, a K-8 principal and a K-5 principal. Dr. Evelyn Johnson received her doctor of education degree from the University of Washington, Seattle in 1999 and is currently an Associate Professor of special education at Boise State University. Dr. Abraham H. Jones has taught for 20 years and is currently a Third Grade Special Education Resource Teacher in an elementary school in the Christina School District in Delaware. Dr. Stevan Kukic is the Director of School Transformation for the National Center for Learning Disabilities (NCLD), focusing on the needs of students with LD and other learning difficulties. Evan Lefsky, Ph.D., is Director of Response to Intervention (RtI) and Leadership Services at Public Consulting Group (PCG) Education. Dawn Miller, Ph.D., currently serves as the Innovative Projects Facilitator for the Shawnee Mission Public Schools. Jared L. Moretti is Principal of Laura Irwin Elementary School and also serves as the Special Education Director for Big Horn County School District #4 in Basin, Wyoming. Dr. Juli Pool is an assistant professor of early childhood/early childhood special education at Boise State University. Dr. David Prasse is Professor and Dean of the School of Education, Loyola University Chicago. 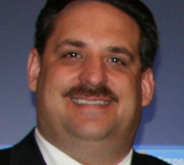 Jonathan G. Ross is the principal of Lionville Middle School (grades 6-8) in the Downingtown Area School District. Dr. W. David Tilly currently serves as Director of Innovation and Accountability for Heartland Area Education Agency (AEA) 11.